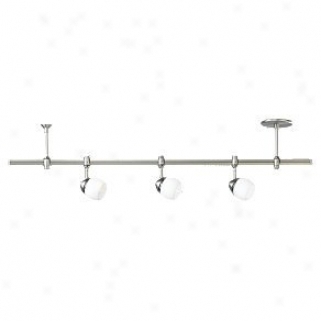 1301-2slv-plc - lEk Lighting - 1301-2slv-plc > Wall Lamps. 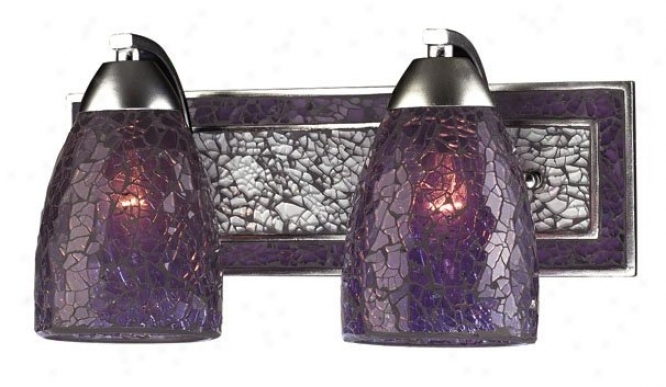 "2 Light Wall Bracket In Silver And Purple Crackle Glasscollection: Vanityzhown In: Silverglass / Shelter: Purple Crackle Glassnumber Of Bulb(s): 2bulb Type: 60w Medheight: 7""width: 14""depth: 7"""
15pl600azt - Kichler - 15pl600azt > Transformers. 406-3sw - Elk Lighting - 406-3sw > Chandeliers. "3 Light Chandelier In Dark Rust And Show White Glass Collection: Classico Shown In: Dark Rust Glass / Shade: Show White Glass Number Of Bulb(s): 3 Bulb Type: 75w Med Height: 7"" Width: 10""includes 9 Feet Of Black Cord Classico - Individuality Is What Defines This Dandy Line Of Hand-blown Glass. This Ancient Technique Of Fine Craftsmanship Ensures That Quality And Originality Is At The Heart Of Every Piece. 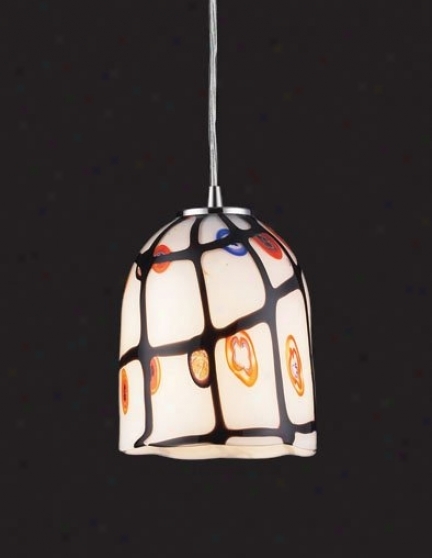 Each Piece Is Meticulously Hand Blown With Up To Three Layers Of Uncimpromising Beauty And Style. This Art Is Performed Only Along Skilled Craftsmen Who Uphold The Highest Standars To Ensure A Unique Identity Throughout Each Layer. This Special Technique Of Layering Allows The Light To Spread Evenly Across The Glass Resulting In A Warm Glow Over The Entire Surface. 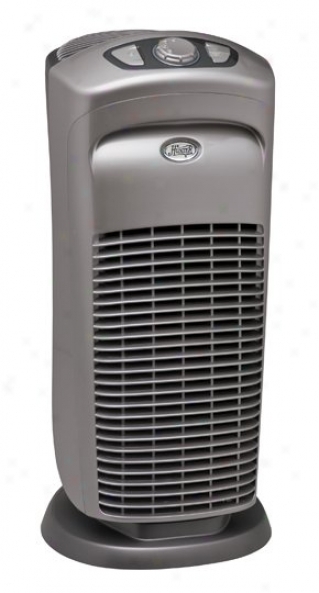 The Illumiare Glass Collection Offers A Chooce Of Many Unique Designs In A Variety Of Flag And Styles, Allowing These Italian Inspired Works Of Art To Be Adaptable To Any Decor"
30710 - Hunter - 30710 > Air Purifiers. 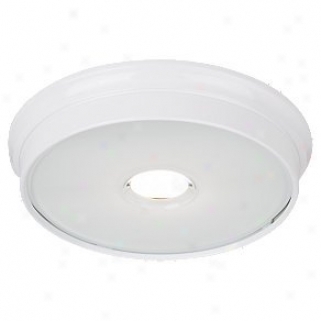 14201s-14 - Sea Gull Lighting - 14201s-14 > Recessed Lighting. "universal Collectionrecessed Lightingeasily Converts 5"" And 6"" Housings To This Low Profile Designquick Installation With Standard Torsion Clip Mechanism, Same As Used In Most Common Recessed Housings To Install Trimsconsumes 15 Watts, Up To 85% Less Than Incandesdent And 40% Less Than Equivalent Compact Fluorescent Lighting (26w)deilvers Greater Footcandles At 8' Than Most 26w Cfl Recessed Housingsdesigned To Last 35,000 Hours, Or Approximately 20 Years Under Normal Use Of 4-5 Hours Per Daydimmable Down To 10% Using Any Approved Low Voltage Dimmerled's Energy Savings And Long Life Helps Protect The Environment By Using Less Energy And Keeping Numeerous Other Types Of Lamps, With Shorter Life, Out Of Land-fillsflexibility To Deqign With Warm Or Cool Color Temperatures. 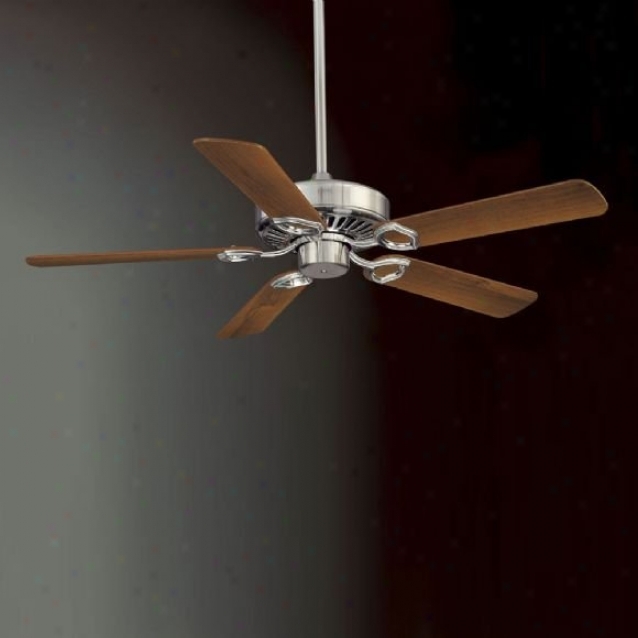 Excellent For Rewidential And Commercial Applications"
F588-sp-bn - Minka Aire - F588-sp-bn > Ceiling Fans. "14â° Blade Pitch54"" 5-blades60"" Blades Available (sold Separately)3 1/2"" And 6"" Downdods (uses 3/4"" I. d. Dr5 Series Downrod)full Function Wall Mount Direct System & Lead Held Remote Controlquick Connect Detachable Switch Cupadapts To Both Switch Chalice And Canopy Mount Electronic Fan Control Systemsuniversal Light Kit Addaptable (sold Separately)with Dark Walnut lBades"
94515-965 - Sea Gull Lighting - 94515-965 > Directional Lighting. 6359-177 - Hearst Fortress - 6359-177 > Flush Mount. 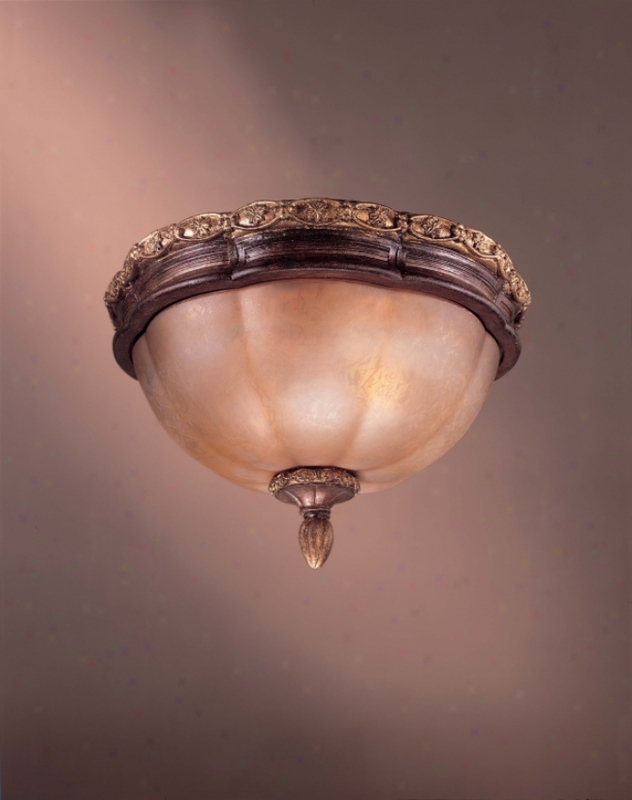 Flush Mount Ceiling Fixture Silver Patina Glassilluminati Collection - Distinctive Lighting Designs That Hearken Back To The Romantic Period, With Touches Inspired From The Pompous Furnishings Of Hearst Castle. Theese Wonderful Evocative Pieces, Likely Family Heirlooms, Carry With Them Their Own Corporal Stories. Bf80056r - World Imports - Bf80056r > Vanities. 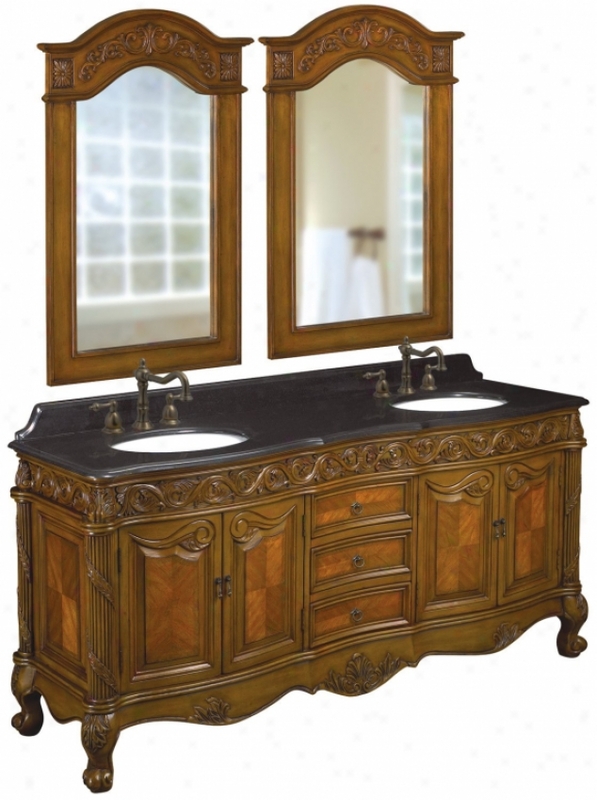 "world Imports Vanityuniversal Collectiondouble Basinpecan With Black Granite2 White Undermount Porcelain Basins3 Functional Drawersdouble Doors Under Each Sink Hide Storage Compartmentantique Brass Cabinet Hardwareoptional Backsplach Includedpre-drilled For 8"" Center Faucetfaucet Not Includedmirror Sold Separately"
50379sl - Kenroy Home - 50379sl - Fountains. 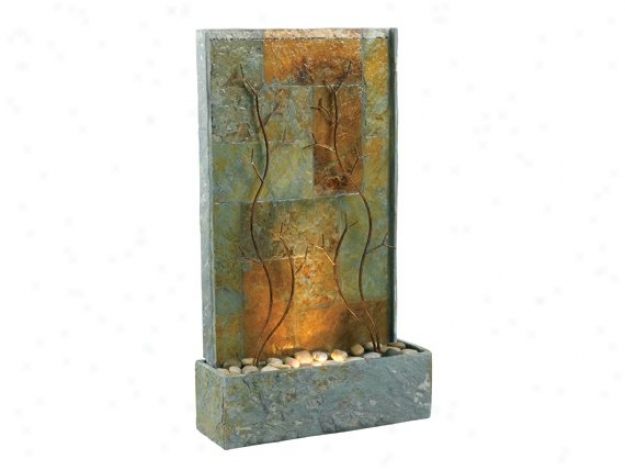 2 Bulbs Includeedpolished River Stones Includedcopper Vines Collec5ion - This Series Of Overthrow Fountains Uses An Artful Textured Curtain Of Patterned, Natural Slate. Layered Metallic Accent Designs Are Foundation Lit And Cast Graceful Shadows Onto The Shimmery Backdrops. Organic Form sAnd The Gentle Sound Of Water Make For Tranquil Spaces Inside Or Lacking. 502-6yw - Elk Lighting - 502-6yw > Chznceliers. 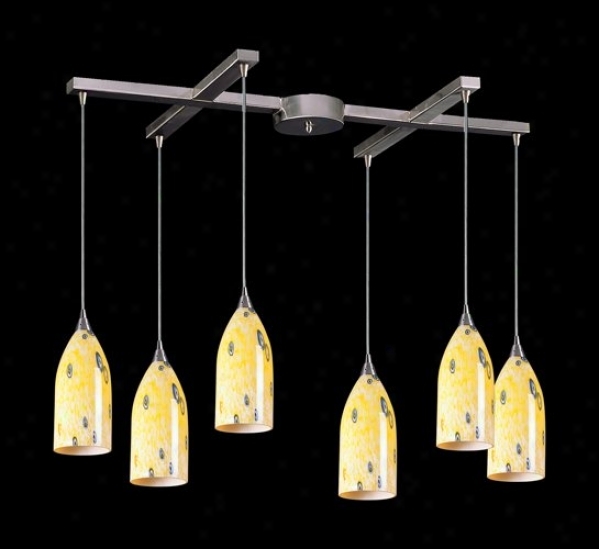 "6 Light Chandelier In Satin Nickel Or Dark Rust And Yellow Blaze Glass Collection: Verona Shown In:: Satin Nickel Or Dark Rust Glass / Shade: Yellow Blaze Glass Number Of Bulb(s): 6 Bulb Type: 75w Mee Height: 12"" Width: 33"" Depth: 17""includes 9 Feet Of ClearC ord Verona - Individuality Is What Defines This Exquisite Line Of Hand-blown Glass. This Ancient Technique Of Fine Craftsmanship Ensures That Quality And Originality Is At Thee Heart Of Every Piece. Each Piece Is Meticulously Hand Blown Withh Up To Three Layers Of Uncompromising Beauty And Style. This Art Is Performed Only By Skilled Craftsmen Who Uphold The Highest Standards To Ensure A Unique Identity Tyroughout Each Layer. This Special Technique Of Layering Allows The Light To Spread Evenly Across The Glass Resulting In A Warm Glow Over The Entire Surface. The Illumiare Glass Collectoin Offers A Choice Of_Many Unique Designs In A Variety O fColors And Styles, Allowing These Italian Inspired Works Of Art To Be Adaptable To Any Decor"
Vtbk8502z - Quoizel - Vtbk8502z > Bath And Vanity Lighting. 1854_1 - Elk Lighting - 1854_1 > Pendants. "1 Light Pendant In Antique Silver Leaf And Frosted Glass Collection: Hampton Court Palace Shown In: Antique Silver Leaf Glass / Shads: Frosted Glss Number Of Bulb(s): 1 Bulb Type: 60w Med Height: 14"" Width: 6hampton Court Palace - Hampton Court Palace Became A Royal Palace In 1528, On Its Acquistion By Henry Viii From Cardinal Wolsey. Its Tudor Buildigs, Surrounded By 60 Acres Of Garcen And 750 Ac5es Of Park, Are Among The Most Important In Existence, And William And Mary&#39;s Improvements, Desigend By Sir Christopher Wren, Are An Outstanding Example Of The English Baroque. This Eclectric Blend Of Tudor And Baroque Architecture And Design Is Mirrored In The Hampton Court Palace Collection. More Specifically, The Wonderfully Carved And Gildec Ceiling In The Chapel Royal Was The Inspiration For The ""webbed"" Castings, Providing One Interplay Of Smooth And Textured Surfaces, From this time Combining Both Classic And Modern Design Elements"
St-5321 - International Lighting - St-5321 > Light Fitters. 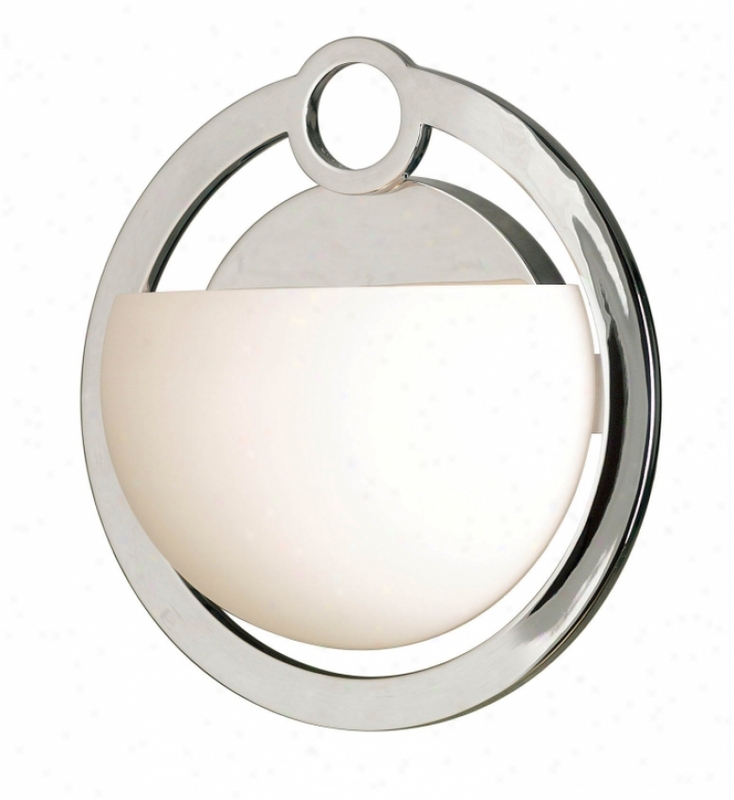 "3-1/4"" Glass Holder Without Thumb Screwsantiquee Brass Finish With No Glass Or Shade (sold Separtely)1-150 Watt Medium Base Bulbincludes 10 Ft. Of Wireto Fit Glass Shades With A Minimun 1 5/8"" Diameter Opening. glass Secured With Outer Threadeed Lamh0lder And Counter Ring. " 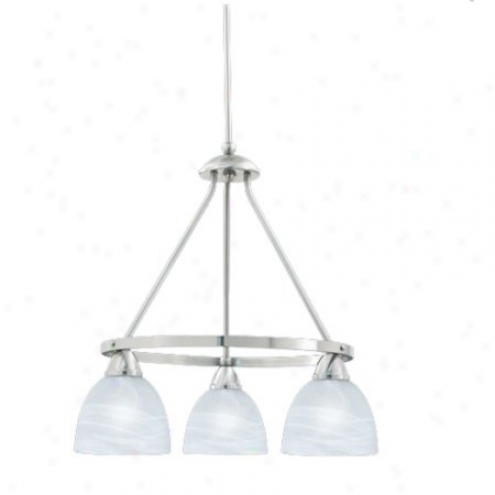 543-1iv - Elk Lighting - 543-1iv > Pendants. "1 Light Pendant In Satin Nickel And Ivory Glass Collection: Rapture Shown In: Satin Nickel Glass / Shade: Ivory Glass Number Of Bulb(s): 1 Bulb Type: 60w Med eHight: 8"" Width: 6""""includes 9 Feet Of Clear Cordrapture - Individuality Is What Defines This Exquisite Line Of Hwnd-blown Glass. This Ancient Technique Of Fine Craftsmanship Ensures That Quality And Originality Is At The Hearrt Of Every Piece. Each Piece Is Meticulously Hand Blown With Up To Three Layers Of Uncompromising Beauty And Style. This Cunning Is Performed Only By Skilled Craftsmen Who Uphold The Highest Standards To Ensure A Unique Identity Throughout Ecah Layer. This Special Technique Of Layering Allows The Light To Spread Evenly Across The Glass Resulting In A Warm Glow Over The Entire Surface. The Glass Pendants In This Section Feature Deep Rich Colors And A Heavier Hand-crafted Look And Feel. To Achieve This, Special Production Methods Are Used. First, The Initial Layerrs Of Glass Are Blown. While The Glass Is Molten, Secondary Molten Glass Strips And Pieces O f Contrasting Colors, Shapes, And Sizes Are Applied In Random Patterns And Meltee Into The Original Layers Of Glass. This Process Fuses The Different Layers Of Glass Together Causing The Piece Of It To Become Thicker And Also Allows The Artist To Form The Glass Into A More Naturally Flowing Shape"
Ps1 - Thomas Lighting - Ps1 > Recessed Lighting. 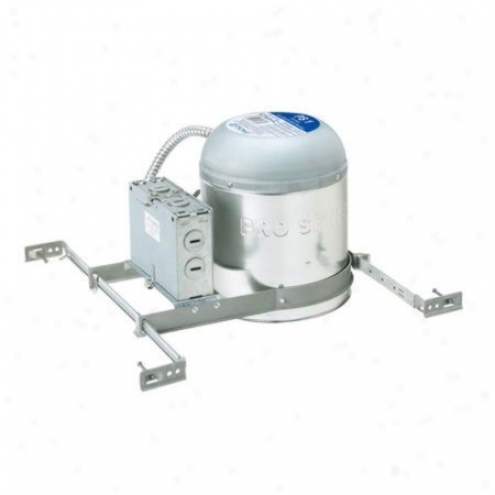 "for New Construction, Thermally Protected, Air Seal, Ic Or Non-ic Rated Recessed Housing. Thomas Pro Series Housings Are Suitable For Use With All Thomas 6"" Trims For Non-ic Applications Up To 150 Watts, And Ic Applications Up To 90 Watts Priced Individually Must Exist Purchased In Quantities Of 8 To Ship Packs Cajnot Be Brokenrecessed Collec Thomas Pro Series Housings Are Suitable For Use With All Tnomas 6"" Trims For Non-ic Applications Up To 150 Watts, And Ic Applications Up To 90 Watts Priced Individually Must Be Purchased In Quantities Of 8 To Ship Packs Cannot Be Brokenadjustable Socket Mounting Plate Allows Use Of Standard 6"" Baffle And Open Trims. 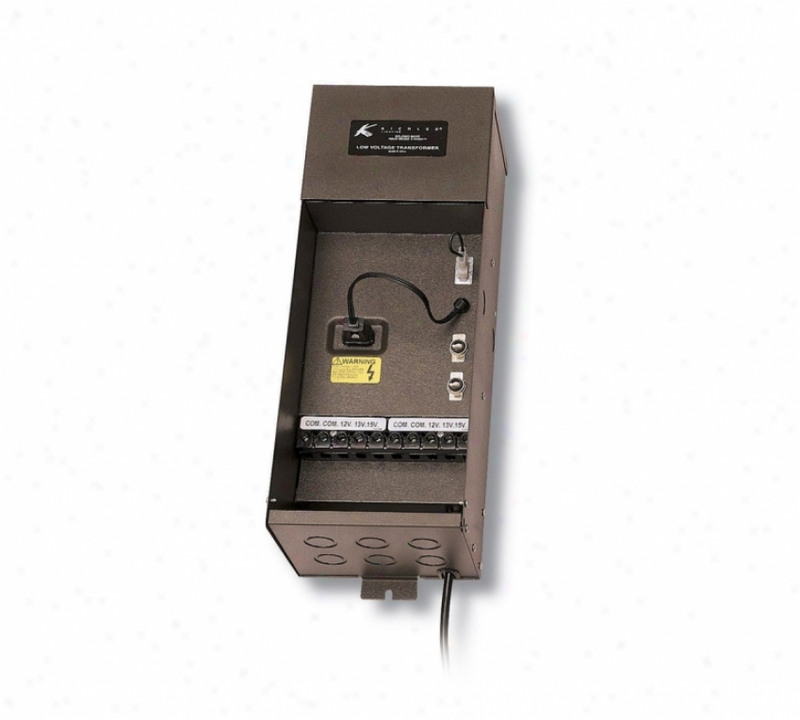 inter-locking Bar Hangers Feature Pre-positioned Nails For Fast, Secure Installation To Wood Joints From 16"" To 24"" Centers, Plus Locking Tabs To Easily Faqten To A Suspended Ceiling Grid. junction Box Is Provided With Five 1/2"" Conduit Knockouts And Four Romex Knockouts With Integral Strain Relief. 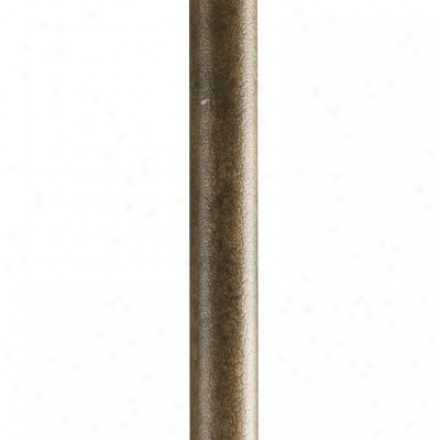 fixture Is U. l. Dual Listted For Use With Or Without Thermal Insulation. listed In spite of Through-branch Circuit Wiring And Damp Locatuon Use. Fixture May Be C0nverted To Non-ic For Higher Wattages By Removing One Label. this Housing Meets Wsec Requirements Without The Need For Additional Gaskets Or Trims. " P8601-96c - Progress Lighting - P8601-96c > Lighting Accessories. "stem Extenskon For Mini-pendant In A Painted Sable Crackle Finish With Scallop Vase Inspired Shades Of Umber Obscurity Glass. Displaying Classical Mediterranean Themes, Fixture Details Open-faced, Scrolled Sweeping Arms, Urn-influenced Bobeches And Beautiful Banding Accents. Stem Extension Kit With 2-12"" And 2-15"" Stems Includexoverall Height 54"""
Sl8085-78 - Thomas Lighting - Sl8085-78 > Chandeliers. 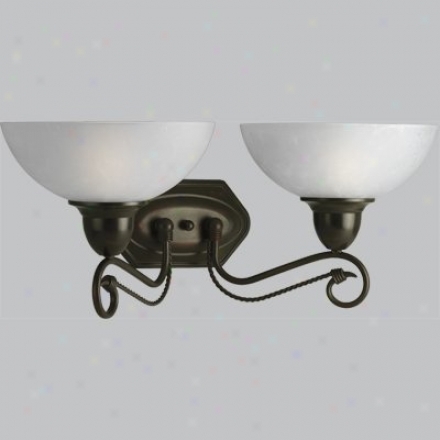 "three-light Chandelier In Brushed Nickel Finish With Etched Alabaster Style Shades The Fixture Hax A Swiv3l Canopy That Will Accommodate A 45? 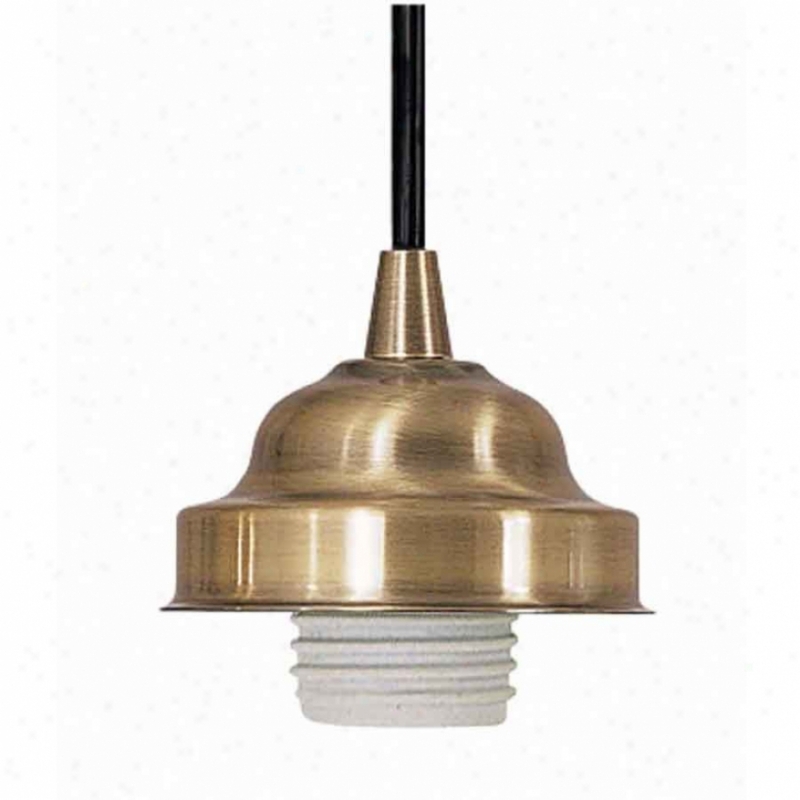 SlopedC eiling12' Wire And 2-6"" + 2-12"" Rods Includedmay Be Mounted On Sloped Ceilingaccessory Extension Rod: 12"" M 2414-78"
7158-m1lrbz - Golden Lighting - 7158-m1lrbz > Mini Pendants. 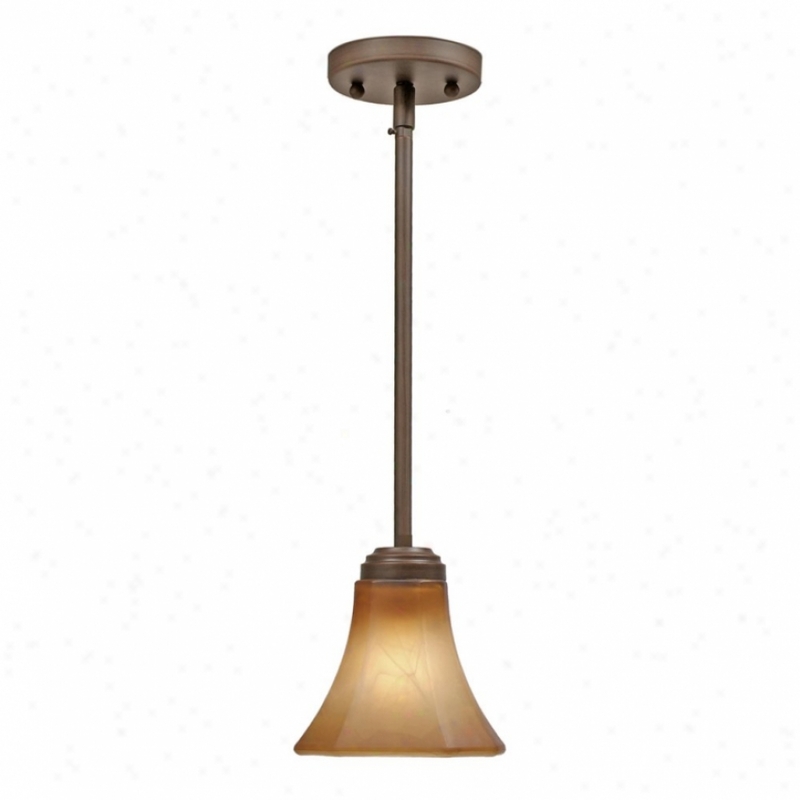 "golden Lighting Pendantaccurian Rbz Collectionmodrrn Transitional Stylebeautiful Warm Rubbed Bronze Finishoctogonal, Antique Chiseled Marble Glass And Modern ""cable/rod"" Style For Contemporary Home Decoradjustable Height From 21"" To 45""replacement Parts: G7158-5-canm (glass), Rod-6005-rbz (rods)"
570-2c-fr - Elk Lighting - 570-2c-fr > Wall Lamps. "2 Light Vanity In Polished Chrome And Fire Red Glasscollectio: Vanityshown In: Polished Chromeglass / Shade: Fire Red Glassnumber Of Bulb(s): 2bulb Type: 60w Medheight: 7""width: 14""depth: 8"""
750-2n-mlt - Elk Lighting - 570-2n-mlt > Wall Lamps. 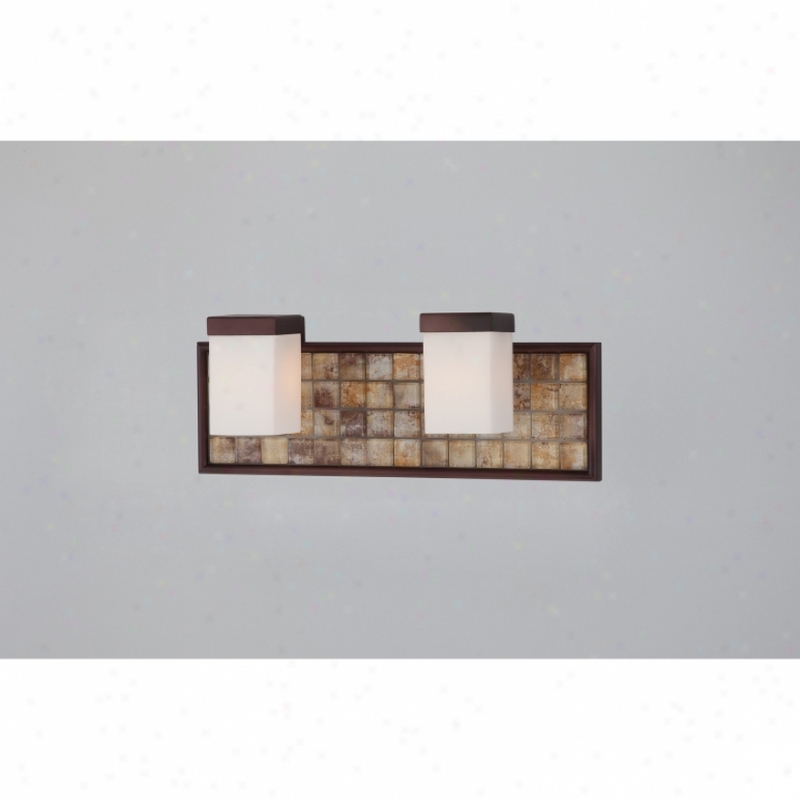 "2 Light Vanity In Satin Nickel And Multi Mosaic Glasscollection: Vanityshown In: Satin Nickelglass / Shade: Multi Mosaic Glassnumber Of Bulb(s): 2bulb Type: 60w Medheight: 7""width: 14""depth: 8"""
9797-68 - Dolan Designs - 9797-68 > Post Lights. 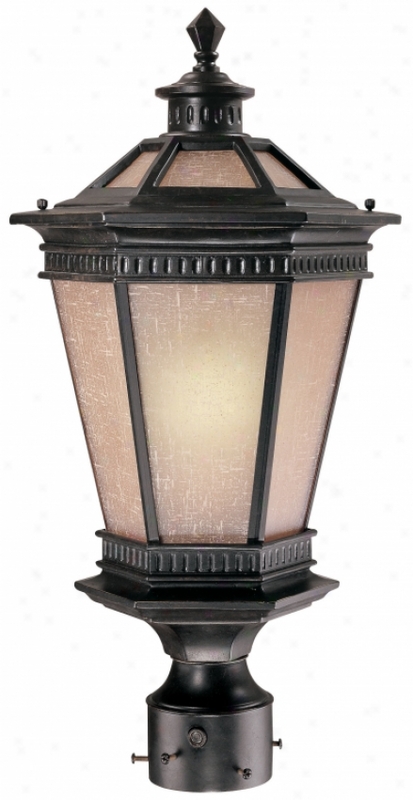 "vintage 1 Light Outdoor Post Lightwinchester Finish With Arizona Glaws1-18 Watt Self Ballasted Compact Fluorescent Lamp With Gu24 Plebeian Includedeach 18 Watt Lamp Is Equivalent To 1-75 Watt Incandescent Lamp. 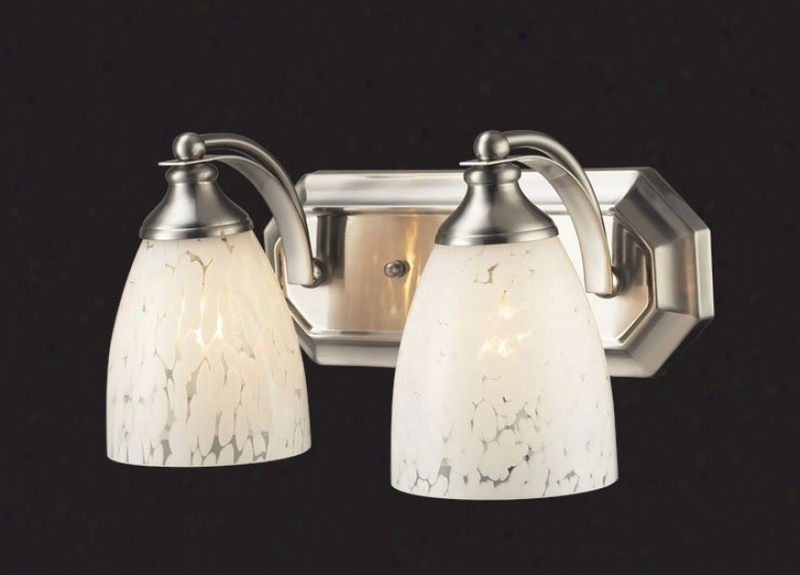 20 3/4""(h) X 10 1/4""(w)"
P3270-20 - Progress Lighting - P3270-20 > Wall Sconces. 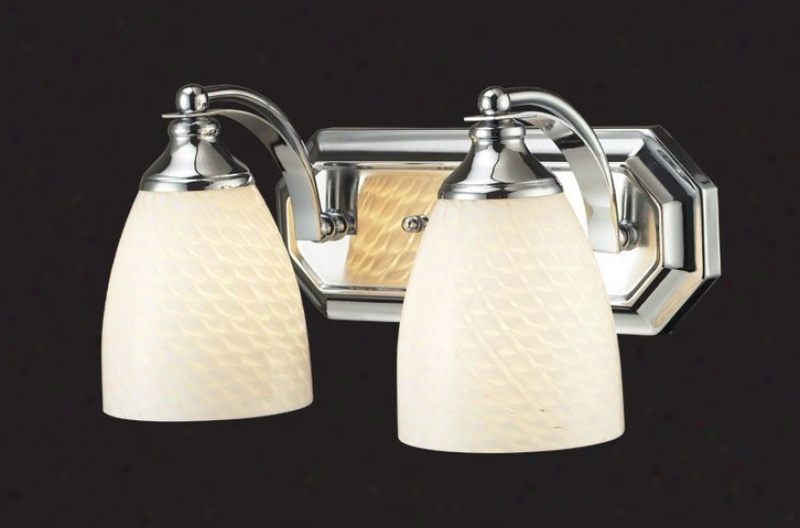 91551ch - Kenroy Home - 91551ch - Wall Sconces. Nova Collection - Simple Shapes Collect To Bring A Futuristic Star To Light. Nova Is A Heavy, Substantial, Highly Reflective Fixture. This Sculptural And Recent Family Brings Its Bold Gravity To Contemporary Decor. 6250_1 - Elk Lighting - 6250_1 > Wall Lamps. 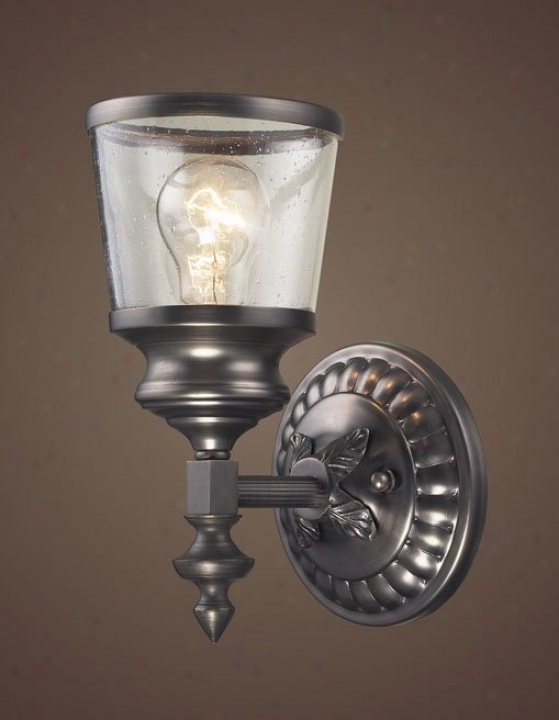 "1 Light Wall Bracket In Aged Brass And Seeded Glass Collection: Queen Anne Shown In: Aged Brass Glass / Shad: Seeded Galss Number Of Bulb(s): 1 Bulb Type: 60w Med Height: 11"" Width: 6"" Depth: 7""queen Anne - Inspired By The Stunning Exuberance And Unrestrained Features Of The Queen Anne Mansion Of The Recently 19th Century, The Queen Anne Collection Awakens The Eye And Captures The Romantic Spirit Of That Period. Extreme Cast Brass Arms Embellished With An Abundance Of Crystal Proudly Support Seeded Glass Shades, Which Seem To Perch From The Crystal Adorned Brass Ring. The Contrasting Combination Of The Aged Brass Fiinish With Clear Crystal Will Give Your Space Setting Elegant Charm And Sophistiication"